A recent news story reported the return of icons to Cypress from the United States, where they had apparently surfaced after being missing for a fair number of years. The museum in whose possession they had come worked with the Church in Cypress to see them restored to their rightful place. This is not the first time such an event has occurred, even in recent times. Back in mid-December I wrote about icons “finding” their home. Getting things put back in place is a very important part of the Gospel. A serious questions for us as human beings is: “Where do I (we) belong?” It may be a question that we seek to answer with trying different vocations. Some, particularly in America, do it by trying different spouses. But “finding home” is about none of these things. There are a number of Orthodox converts who speak about “coming home” to the Orthodox faith. That is certainly true to a certain extent, and I can say something similar as time passes by. It was not the first thought that came to my mind when I attended my first Orthodox Liturgy. My first thought was, “This is different,” followed closely by, “Exactly how long does this service last?” When some of my early visits took me to a monastery, I became seriously worried. It was different, and the length (typical of many monasteries) was unlike anything I’d ever imagined, and nobody thought it was something to apologize for. “Coming home,” is a much larger issue of which the Church is certainly part. Man hasn’t “been home” since he left the Garden. If there is anything Scripture teaches us it is that we are not home. Expelled from paradise, the people of God were eventually given a “promised land,” but they’ve been expelled from there ever so many times. Today, Jews, Muslims and Christians can all three complain that they’ve been expelled from the land. It’s a very large sentiment. The book of Hebrews offers the rich image of saints wandering, looking for a promised land. In the 11th chapter, the so-called “roll-call” of faith cites saint after saint “of whom the world was not worthy” who like Abraham waited for a city with foundations “whose builder and maker was God” (11:10). We are told that from the very beginning we were made “in the image and likeness of God.” Human beings were created to be icons. More than that we are told that Christ himself is the true icon, “the image of the invisible God” (Colossians 1:15). Some of the early Fathers of the Church taught that Genesis’ comment on man being created in the image and likeness of God referred to Christ rather than Adam. Adam, in their teaching, failed to fulfill his vocation and be conformed to the image and likeness of God. It was not until Christ came that we actually have before us both the image of God, and the image of what a man is actually to be. Christ is our home. It is in this sense, that coming to the Church is a “coming home.” It is because the Church is the body of Christ that we belong there. We too, are icons who are being returned to their true home. 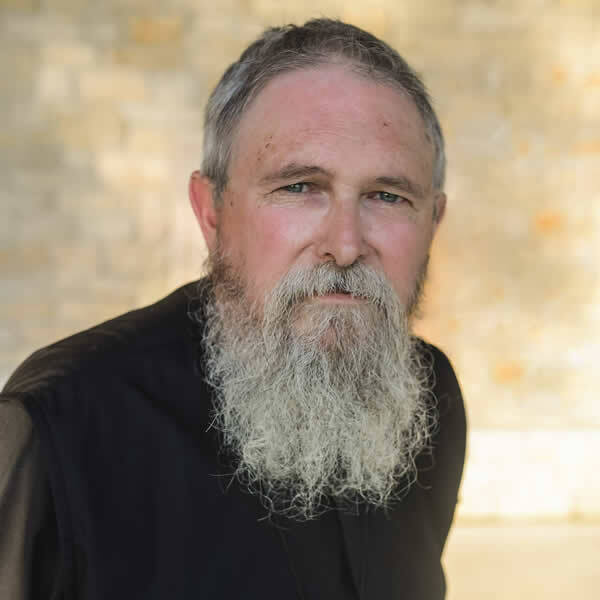 The first two years after my conversion to Orthodoxy I worked as a hospice chaplain, ministering to dying patients in their home, up and down the mountains of Eastern Tennessee. I went places that I would never have dream of going. One of the most common occurrences was to find, in small Appalachian homes and trailers, a wall with holy pictures. There were no “Orthodox” Christians in the hills – mostly Baptists (not even Southern Baptists) some Pentecostals. But the pictures were a common language. It was the projection of the heart on the wall of a southern home. Jesus, praying in the garden; standing at the door and knocking; even Jesus’ Sacred Heart. On January 7 this year (Russian Christmas) our parish was visited by a small contingent of Russians. One had been to Moscow recently and brought a number of icons as gifts to our parish. One of them I recognized immediately. It was Jesus in the Garden (the same English portrait that hangs in homes around here), but the caption at the bottom was in Cyrillic Script: The Prayer in the Garden. I could not help but smile. It’s now hanging in our parish hall. An “icon” has come home – back to Appalachia where it is so beloved. And it’s easier for me to tell that I’ve come home as well. 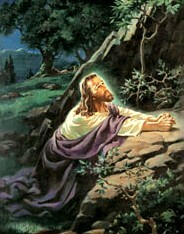 The Russians, like my dear dying friends in the mountains, love Jesus in the Garden. I know I’m home when I’m with friends who love Jesus. And nobody apologizes for it. Home. I have been meditating for many months on the description in the Synoptic Gospels of Jesus immediately being driven by the Spirit into the desert/wilderness after his baptism in the Jordan and the Theophany. I had occasion since I was headed out to Bahrain, which used to be called Dilmun, and which (Dilmun) figured in Mesopotamian and Sumerian mythos as ‘Paradise’ and a Holy and Pure land – the land where Gilgamesh goes to find his pearl. And I was going there in the middle of summer. I thought that I saw some parallels in Jesus being driven into the wilderness to Adam being driven from the Garden, also out into the wilderness. 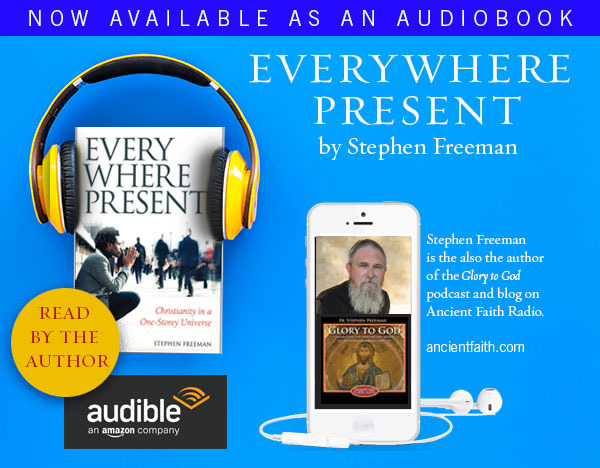 Only I meditated on the words of Elder Pasios: “Where ever Christ is, there is paradise.” I don’t know if the original correct quote is really “wherever” or “where ever” although the latter has a pleasing connotation to it and is how I have seen it. Thus, re: your discussion of icons – images – and coming home to the ‘Garden’ that it is, for me, so much more like Him coming out into my desert and bringing Paradise to me, that is, Himself. As Christ goes out into the wilderness, he brings Paradise with him because He is It – he is Life Itself. Ahh . . . I can’t really express it well. This coming home is, to me, more like finding Him out there in the wilderness (or Him finding me) rather than me entering into the Garden to find Him. Does that make any sense? That meditation has lead to others – mostly now it is one where I seem to ask myself, or be asked, while at a bus stop, while walking down the street, on a plane, “can you love even these?” and realizing that as I see someone I make so many snap judgments, assessments, or make such a simple dismissal of disinterest within a heart’s beat concerning ‘others’ that I really can’t answer this nagging question in the affirmative. Sure, if a person seems attractive, or pitiable, or something, perhaps. But the arrogant, or the dangerous-looking, or the non-descript – do I seem them and that they have hurts and aches and needs. That’s when the full weight of the parable of the sheep and goats comes down on me and I say – I am a goat. Well – silly of me to write this, but I appreciated very much your post here and have been thinking about it for a few days. Please excuse the rambling of a catechumen, and I ask for your prayers. Boy there are very few set rules for meditating on these things. For right now, Christ coming into the desert for you and making paradise right there, works for me too. Thanks for the thought. In its undivideness I saw the Truth Which is undivided. He was the eater in Adam’s stead. What a wonder is our God, as are His Saints in whom he is pleased to dwell. Life is grand. Pingback: Relating the Faith « Christ Is In Our Midst!